They are irresistible right now, so fresh and sweet. Vantreight Farm grows them in Sanichton, just north of Victoria on Vancouver island and I keep buying more at the” Root Cellar” produce stand. I have had them as a side for my Duck with cherry jus, as a soup, in the Macédoine de légumes and they were amazing, but I found that I could not keep them in the pot. They kept being stolen before going to the plate and disappearing faster than chocolate. So how about making the little white ball into an appetizer? Just like cherry tomatoes or meatballs, you can eat them whole and they melt in your mouth. They are so sweet that the addiction is instant. After removing the greens and the little tip, peel them or brush them under cold water. Blanch them until they are just done, drain. 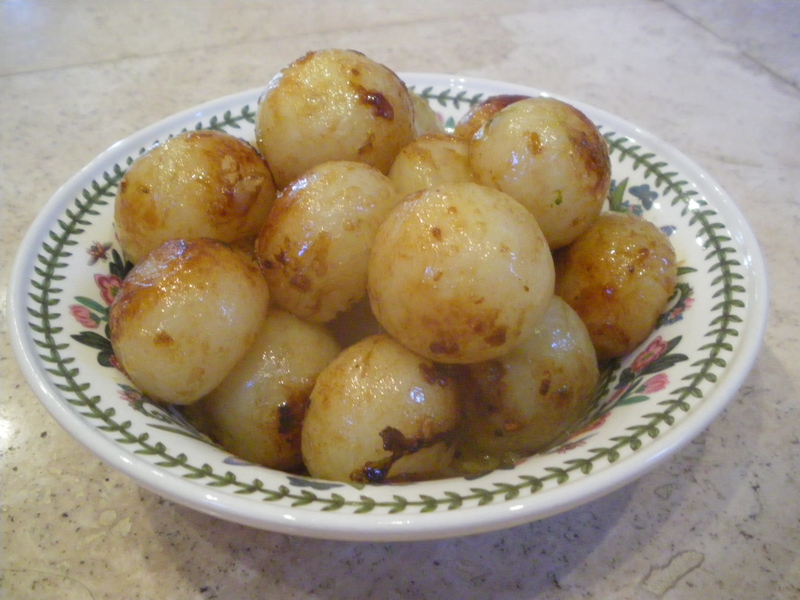 In a frying pan, heat 2tbsp of olive oil and sauté the turnips until golden with a clove garlic. When they are ready, add a tsp white sugar and carameralize just a bit. Add a tsp balsamic and a tsp butter, throw out the garlic. Present with toothpicks, eat warm. Hint: if you bought them with the greens still attached, save the greens for soup or something. 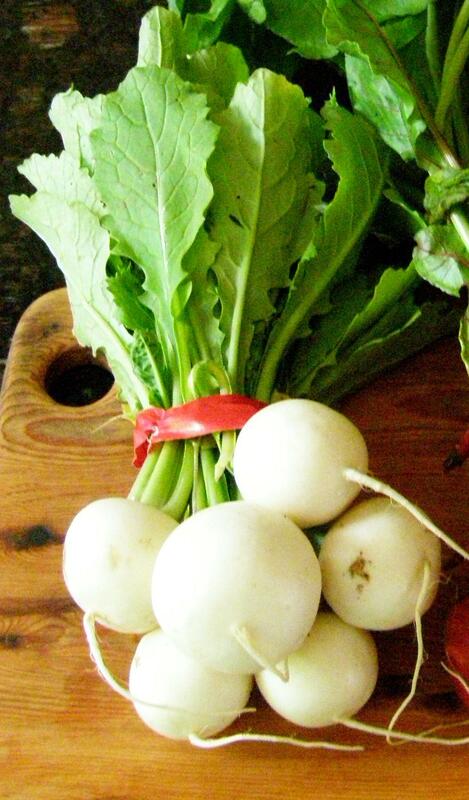 Note: the baby white turnip can also make excellent white turnip soup. 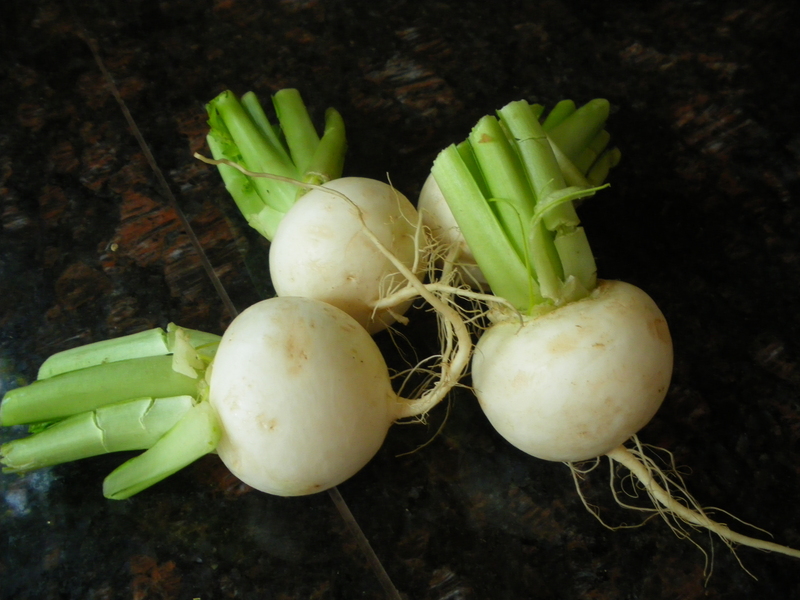 This entry was posted in Appetizer, Vegetables and tagged appetizer, baby turnip, baby white turnip, cooking, food, recipe, recipes, root cellar, turnip, vantreight farms, vegetable, white turnip. Bookmark the permalink.